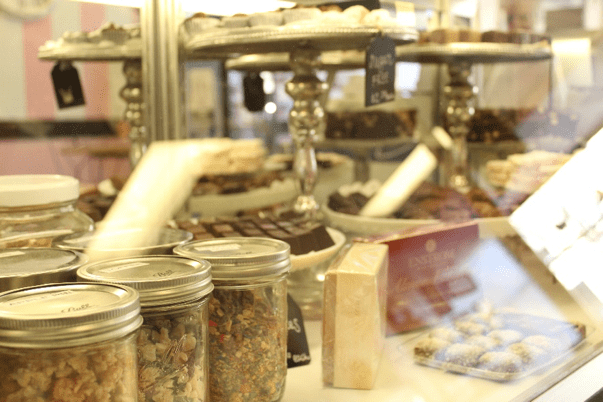 In Downtown Grand Junction, there is no short supply of activities and dining experiences, and spending your Valentine’s day Downtown is certainly no different. We’ve combined some of the best date night ideas below for you to browse – and hopefully go to a few of them! Downtown is known for its unique culinary experiences, and Valentine’s Day is the perfect chance to try something new. 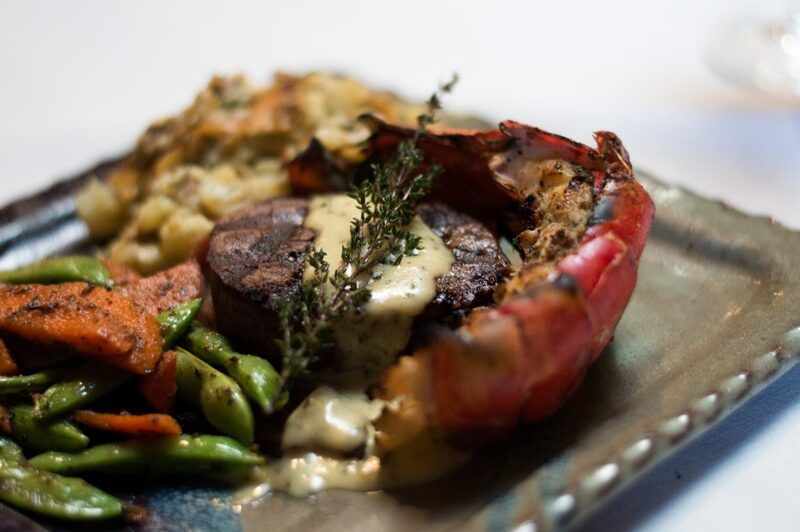 The Feisty Pint, the newest dining destination, is taking reservations for their special dinner – $29.99 per couple and offers a choice of appetizer or dessert, a choice of entree (7oz Prime Cut Steak or Lemon Garlic Chicken) with a loaded baked potato and steamed veggie. Call now to reserve – 970-644-5555. We sure know about sweets Downtown. With multiple places to get ice cream, toffee, candy, and more, we’re a Valentine’s Day hub for all the treats. At Gelato Junction, get their special this week, Chocolate covered strawberry gelato – yum! Candy Time Shoppe and Novelties is always an ideal spot, and this holiday is an even better reason to stop by! Create your own at eBricks! Downtown knows a thing or two about experiences. Below are a few date ideas for you and your significant other! The Grand Junction Symphony Orchestra will be performing a special show – Love Songs & Arias, featuring singers Kathryn White and Robin Kim with pianist Brian Zeger. Don’t miss this show! At Browns Cycles, you can always count on something fun. From February 13-15, 9am-6pm, rent a side by side tandem bike, or what they call, the ‘Love Bike’. Renting is $10/hour, so reserve your spot today! If you’re not one for crowds on Valentine’s Day and prefer to celebrate before or after the 14th, plan on seeing Larry, Steve & Rudy – The Gatlin Brothers at the Avalon on the 12th! Get your tickets here. You can also plan on attending the annual Lions Club Parade and Carnival at Two Rivers this Saturday, February 16.
eBricks! is always a fun place to go, no matter how old you are! 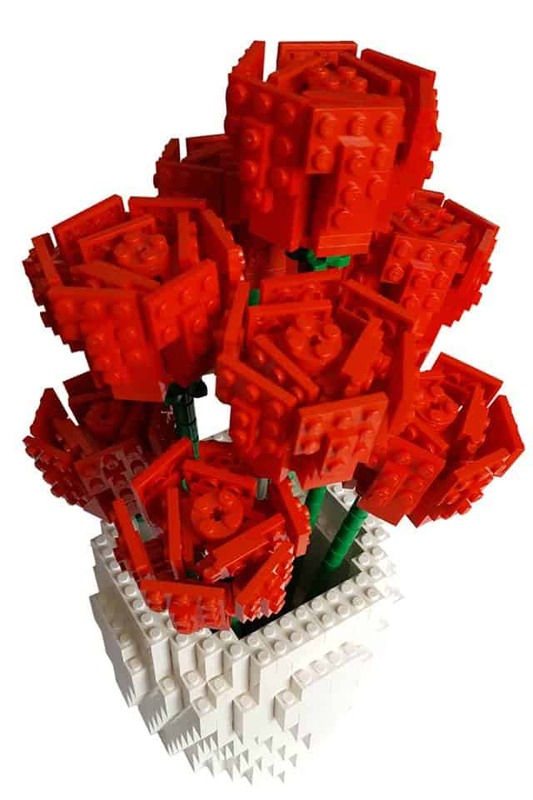 Stop by to build LEGO roses, like the one pictured above! If you’re looking for a gift for your Valentine, we can’t think of a better place than Downtown. With so many options to choose from and a store for everyone, we feel pretty certain you’ll find that perfect gift. Need a gift for that special someone in your life? 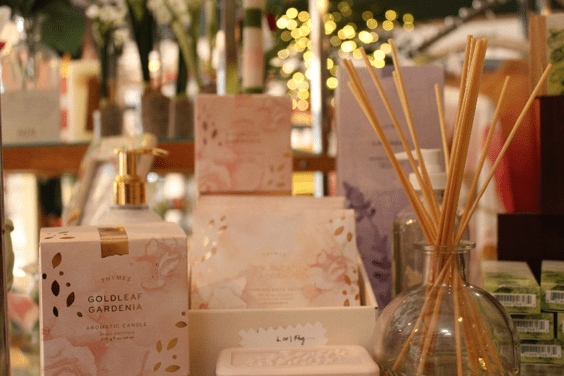 Stop by Crafts & More and find special cologne or perfume – it’s made in Ireland! A Robin’s Nest is another great place to find that unique, antique gift. The options here are limitless! Unique Expressions offers many gifts that would be perfect for the person you’re looking to give something to! From jewelry, perfume, or cute decorations – they have it all! Mesa Jewelers is of course, a perfect destination for this holiday. You can head over to their Facebook page and check out how you can win a great prize while you shop there!